Hamilton Ethnic Women’s Centre Trust (commonly known as Shama) is a charitable trust formed in 2002 after the identification of a gap in available services for ethnic women and children that are run by ethnic women. 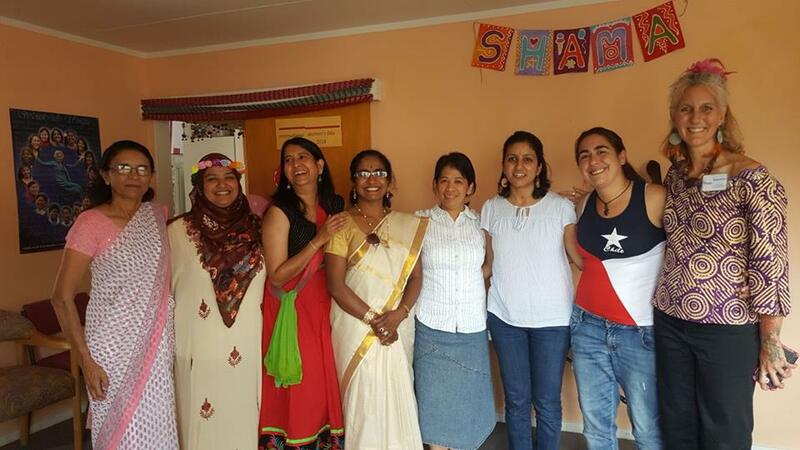 The founding members of Shama recognised that the challenges faced by ethnic women are complex and unique, and their needs often sit outside what is catered for by mainstream social services and support programmes. Shama aims to support the development of a truly multi-cultural New Zealand where all women from ethnic minorities would be fully integrated into New Zealand society, to live lives of dignity, free from fear of violence and discrimination, and to be recognised as valuable contributors to their local communities. The primary objective of Shama is to be a vibrant, sustainable social service organisation that provides culturally-appropriate support, advocacy, and programmes to ethnic women, their children and families, and to be a source of strength and empowerment for ethnic women of all ages. While Shama provides specialist support for those experiencing violence, it takes a holistic approach to the needs of women, their children and families. Shama is a community hub for hundreds of ethnic families in the Hamilton area, as we provide peer-to-peer support for ethnic women through the running of regular classes in crafts, cooking, learning to drive, as well as the parent support and playgroups. Skills based programmes: English language and conversation, IT and computers, gardening, cooking, and sewing classes. Support programmes: parent support, school holiday programmes, after-school education support for children from refugee families, legal and domestic violence workshops. Individual support: one-on-one support is provided to ethnic women, children and their families by trained social workers. For all ethnic women in New Zealand to achieve their aspiration as Mana Wahine, to be respected and welcomed into their communities and the wider community, free from fear, prejudice and violence. To provide culturally-appropriate support, advocacy, and programmes to ethnic women, their children and families, and to be a source of strength and empowerment for ethnic women of all ages.